Charles has 35 years’ experience working in financial services. 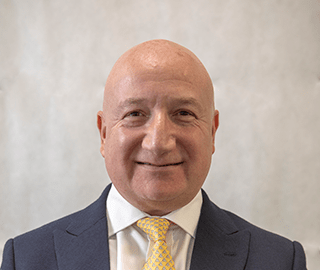 He began working with Confederation Life Insurance Company; since then, he has created successful client relationships across the UK, Europe and Asia. Charles specialises in pensions and investments, as well as using technology to enhance the client experience. Outside work, Charles loves to travel and is a keen fitness fanatic with a love of running. All regulated financial advisers must be authorised by the Financial Conduct Authority (FCA) and therefore appear on their register. You can find Charles’ entry here. Furthermore, all advisers must have an up-to-date Statement of Professional Standing (SPS). This shows they are suitably qualified and have carried out the required amount of Continuous Professional Development (CPD). You should be wary of any advisers who refuse to provide copies of their SPS. You can click here to view Charles’.